South Korean company SAE-A Spinning launched operations in Costa Rica on Thursday with the inauguration of its yarn spinning plant in the province of Cartago, with an initial investment of just over $55 million. The new Costa Rica plant employs 270 workers and produces cotton yarn for export, mainly to other countries in North and South America. President Luis Guillermo Solís attended the inauguration. He said the new operation strengthens efforts to generate economic prosperity and more jobs for Costa Rica. “Today this modern facility launches operations hand in hand with hundreds of Costa Ricans whose talent and dedication will help this company grow,” he said. 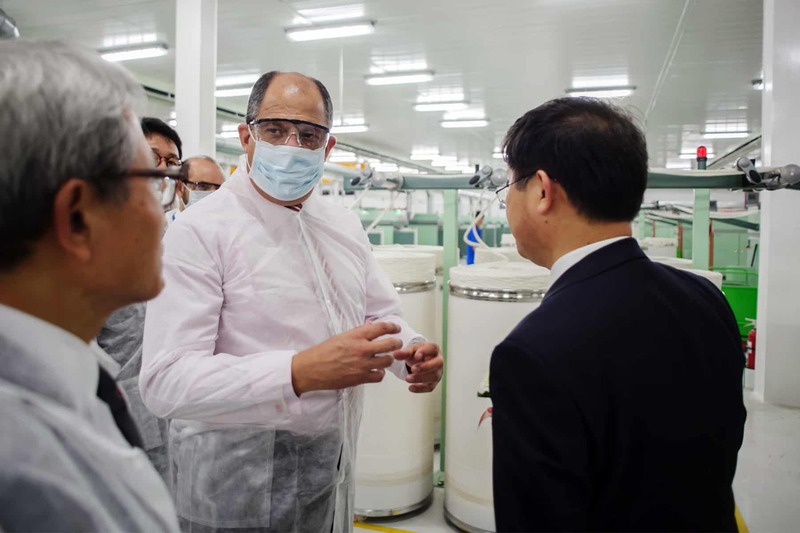 The company’s Chairman Woong-Ki Kim said the plant would also create more opportunities for new and existing businesses here. “Our commitment to the people of Costa Rica is unwavering and we only expect a steady growth in coming months and years,” he said at the opening ceremony. SAE-A Spinning is a subsidiary of Seoul-based Sae-A Trading Co., a company that currently has more than 60,000 employees at 41 operations in 10 countries. Its total textile exports in 2014 exceeded $1.5 billion, while total sales of its other operations were over $2 billion. The opening of the South Korean company boosts Costa Rica’s textile sector, which in past decades has been affected by the relocation and closure of several multinational companies. That upward trend could continue as Canadian company Gildan Activewear announced plans last year to install a manufacturing plant in the province of Guanacaste. Gildan’s choice of Costa Rica followed several months of negotiations between the company and the Costa Rican Investment Promotion Agency (CINDE). Total investment and an exact date for the start of construction on the Gildan plant have not been made public, but CINDE reported in May that Gildan’s new Guanacaste facility would create some 1,000 new jobs for the province.